We all definitely need some drinks after surviving 2016, so celebrate New Year's Eve with Shindig at Old School Night! Old School Night brings you the cream of the crop of 90s hip hop, 80s electro funk, soul, and old school party jams. 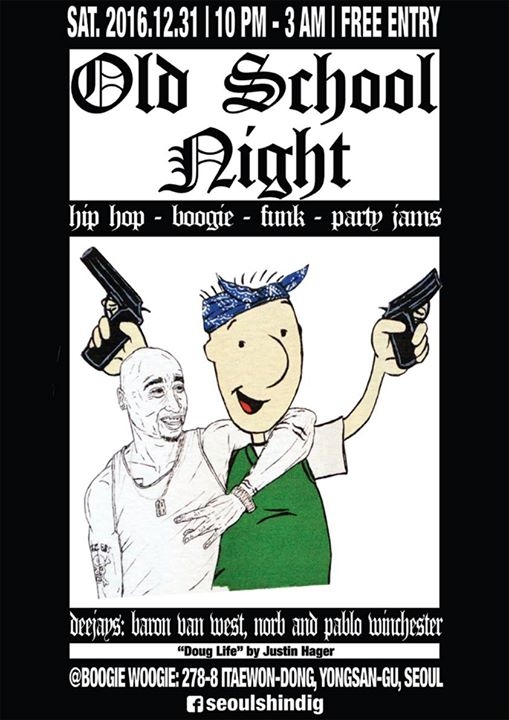 DJs Baron van West, Pablo Winchester and the almighty NORB will be behind the decks blasting Dr. Dre, Snoop, Prince, Parliament, Tupac, Biggie, Grandmaster Flash, Michael Jackson, R. Kelly, Too Short, NWA, Naughty By Nature, the Beastie Boys, DMX, Tom Tom Club, Sugarhill Gang and so much more!